Royal International Convention Centre (Royal ICC) is Brisbane's newest and most versatile event space. The Centre offers the best in Brisbane venue hire with dynamic features and 5-Star services. Royal ICC has fast gained a reputation for offering a personalised, boutique event experience, with exceptional menus offered by an internationally experienced team of Chefs. There’s warmth and intimacy about the Royal ICC with its unique blend of original hardwood timbers, industrial heritage façade and contemporary architectural design. The configuration of the spaces lends itself to the possibility of exclusive hire providing an indulgent and memorable experience for clients and delegates. The Royal ICC is a multipurpose venue capable of holding numerous catered events at any one time. Situated inside the historic Brisbane Showgrounds, the Royal ICC is ideally located just 1.5 kms from the CBD, close to 3-5 star hotels, and just 15 minutes from Brisbane’s domestic and international airports. Situated close to Brisbane’s popular café, entertainment, music and dining precincts of James Street, New Farm, Teneriffe, Newstead and Fortitude Valley where there is something to suit all tastes in entertainment and cuisine. A range of public transport options are easily accessible. The new 4.5 star Rydges hotel is located directly across from the Royal ICC, along with what will be Brisbane's newest and most vibrant café strip - King Street. The contemporary 208 room Rydges hotel adds another dimension to events within the Brisbane Showgrounds precinct, offering the new Paddock Bar and Six Acres restaurant along with a gym and swimming pool. The addition of the new Rydges hotel means Royal ICC guests will now have the option of onsite accommodation. Additionally, there is a variety of 2-5 star alternative accommodation options located within close proximity to the Royal ICC. Royal ICC is the only centre in Australia that can offer clients award-winning food and wine carefully selected from some of the nation’s most prestigious competitions. Nowhere else can you enjoy produce awarded gold, silver and bronze medals in our Royal Queensland Food and Wine Show (RQFWS) and the iconic Royal Queensland Show (Ekka). With an abundance of award-winning Queensland and Australian produce on our doorstep and world-class chefs in our kitchens, the Royal ICC offers beautifully crafted menus showcasing the best of the best. The Royal ICC develops relationships with farmers, winemakers and small producers to ensure we have access to the finest from paddock to palate. 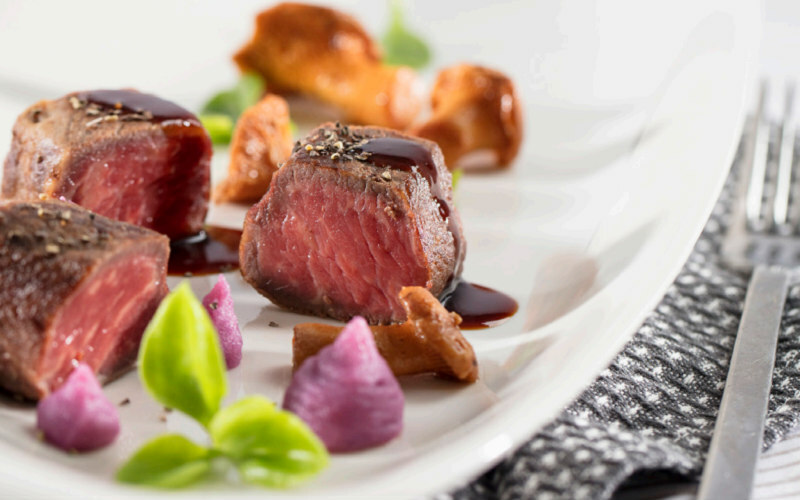 Seasonality, locality and quality are the driving forces behind the Royal ICC’s culinary philosophy. Meetings and events function most effectively when they are supported by the highest level of audio visual technology. Microhire, operating as an independent contractor within Royal ICC, provide a number of specialist services to assist in keeping your audience informed and entertained. A unique structural feature within Royal ICC is the operable ceiling grid system. The first in Australia, the system offers key features that benefit our clients and their events. Comprising 36 operable grids, each featuring 3 phase and 15amp power, capable of carrying a sizeable weight load. Grids are lowered by remote control, the system enables timely installation of technical equipment from a safe floor level work height, and allows for faster and easier hanging of banners and key event signage. The Royal ICC is a stunningly designed boutique style venue. A 1,500m2 landscaped open Plaza forms the entrance into this convention centre featuring three flexible configuration exhibition/conference halls, seven meeting rooms, two board rooms and 1,280m2 of foyer space. Almost 30,000 boating, camping and fishing fans will be hooked from the moment they enter the National 4x4 Outdoors Show, Fishing & Boating Expo at the Brisbane Showgrounds from today. Queensland’s three NRL clubs will face an off-field test today, at the NRL Season Launch Lunch at the Royal International Convention Centre (Royal ICC). 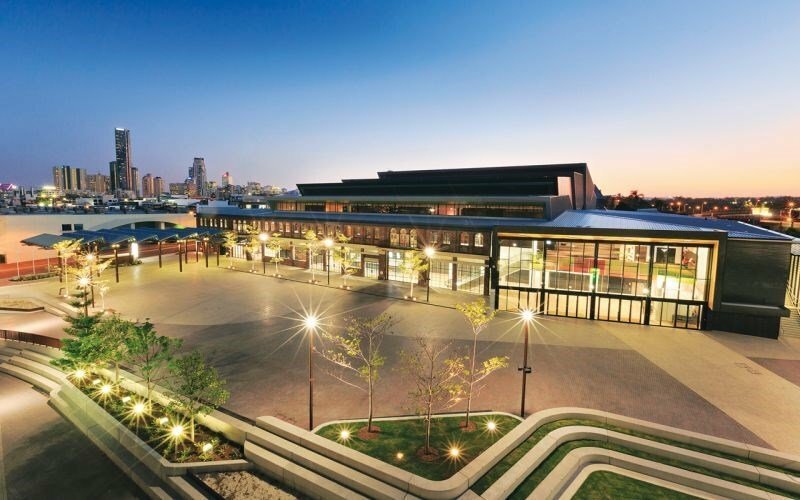 Royal International Convention Centre (Royal ICC) is Brisbane's newest and most versatile event space. The Centre offers the best in Brisbane venue hire with dynamic features and 5-Star services. Royal ICC has fast gained a reputation for offering a personalised, boutique event experience, with exceptional menus offered by an internationally experienced team of Chefs. There’s warmth and intimacy about the Royal ICC with its unique blend of original hardwood timbers, industrial heritage façade and contemporary architectural design. The configuration of the spaces lends itself to the possibility of exclusive hire providing an indulgent and memorable experience for clients and delegates. The Royal ICC is a multipurpose venue capable of holding numerous catered events at any one time.